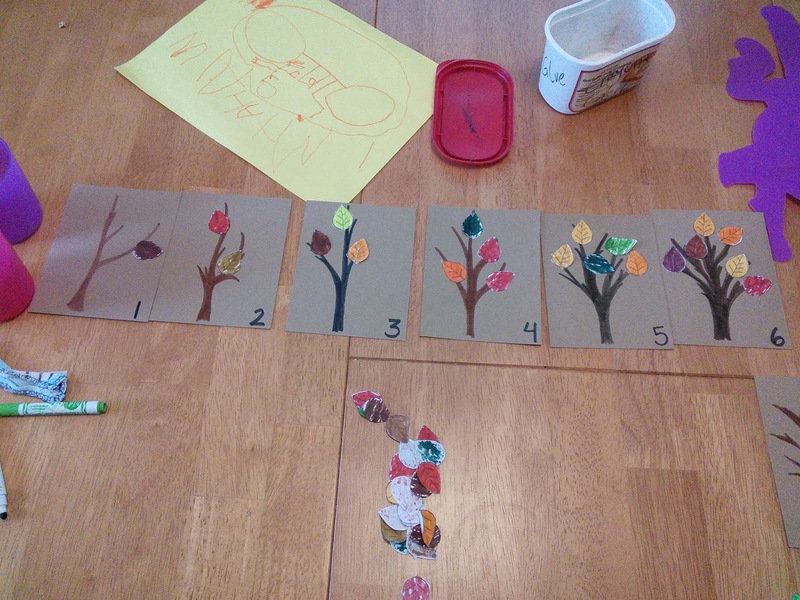 Recently my children and I made a number line with trees. 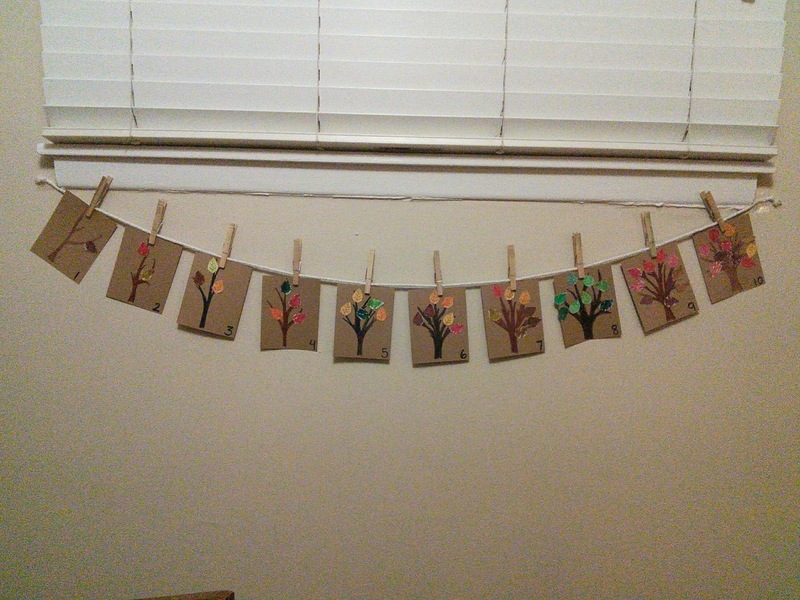 It was a great project and has been hanging on our wall since. 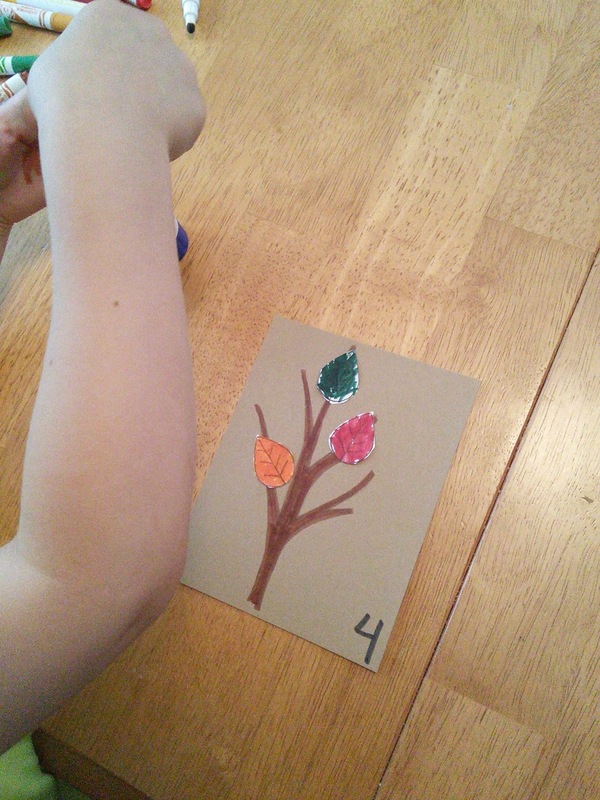 They use it to reference their numbers and have used it to learn to count down from 10-1. 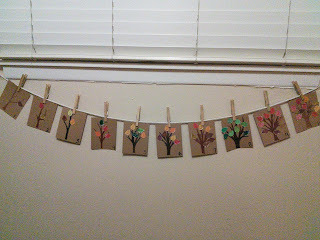 I started by using a leaf stamp that I had from my old stampin' up days and made a whole bunch of them on white computer papers. 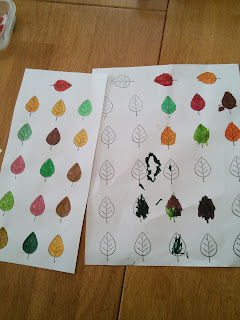 Then I had the kids sort out the marker colors that they thought best represented fall leaf colors. 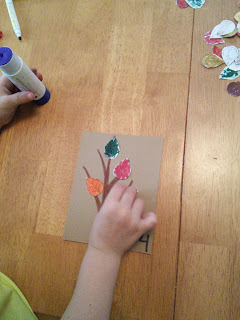 Next, we colored our leaves with the markers that we picked out. 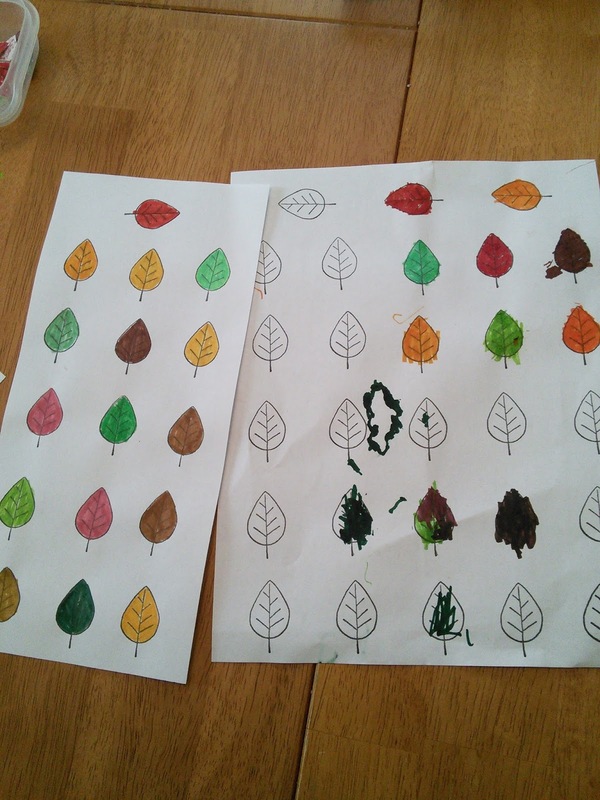 My oldest colored most of his leaves the same color and he is a very speedy colorer. My daughter spent all morning coloring each leaf a different color and filling them all in. I did a few extras as well so we would have enough. Then came the cutting. 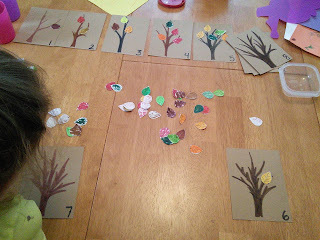 I tried having my four year old cut out the individual leaves but they were too small for him to go around. Instead I made a grid of squares and he cut along all the straight lines until all the leaves were in their own square. 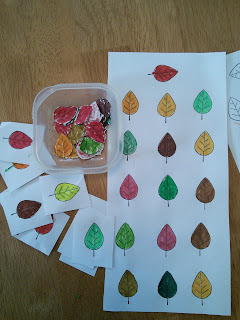 I then finished by cutting out all the individual leaves. The next day we got out some light brown card stock and cut it into four pieces each until we had ten total. I again had the kids pick out the colors that they thought most accurately represented tree bark and I drew a few tree trunks. 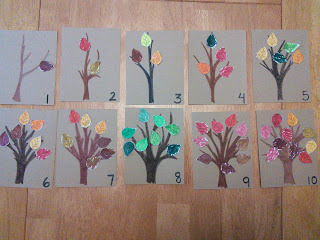 I did them with pencil first, then went over them with the markers. 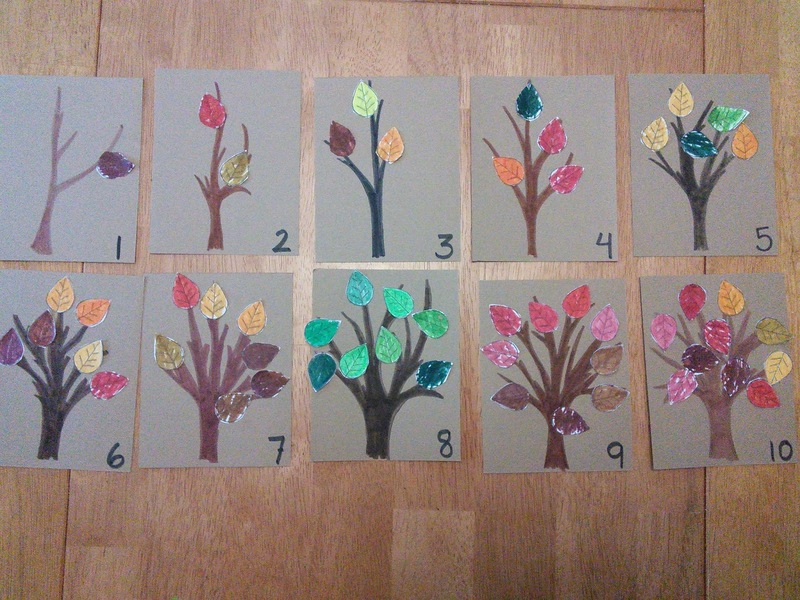 I made the first few trees light with branches and by the eighth tree they were thick trees with numerous branches. Then the fun began. 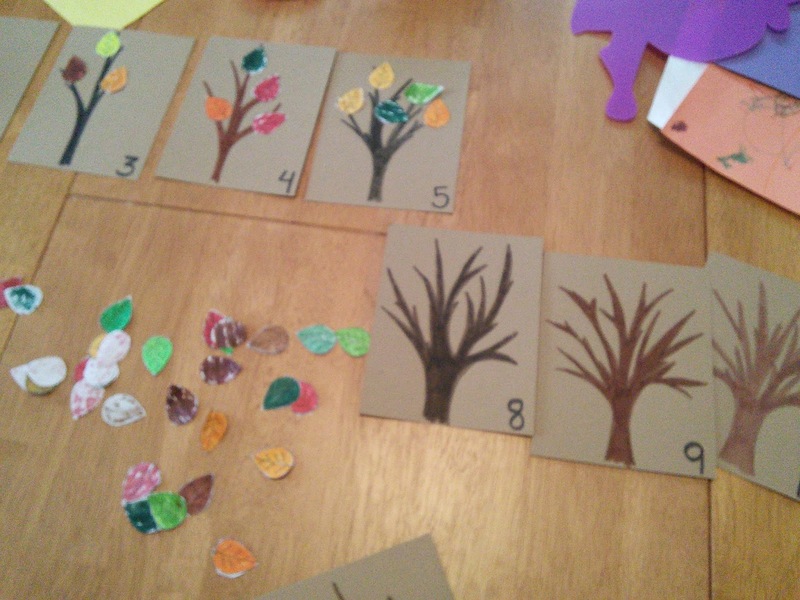 The kids loved selecting the cards that they wanted to do and picking out the right number of leaves for each card. 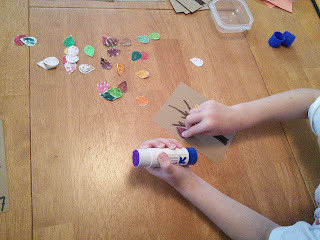 Then they got their glue sticks and glued the leaves on. 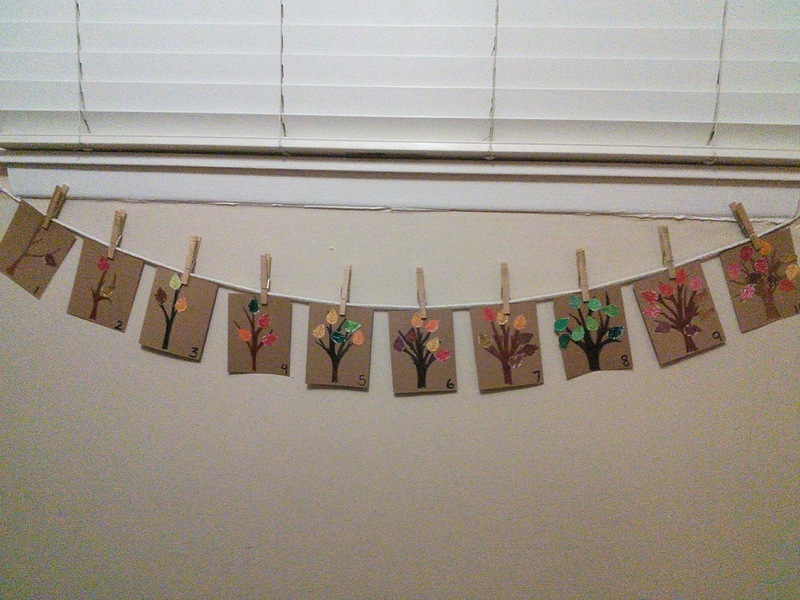 Finally I hung the finished cards from a clothesline under a window in our dining room. 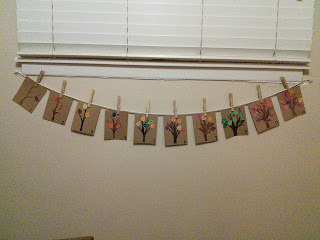 Here are a few pictures I just took of the finished product. It is night and dark in the dining room so I apologize for the blurry dingy pictures but they look great in the morning sun that comes in the window.